The Freckled Frog is a gathering place. Come in and enjoy the friendly atmosphere. 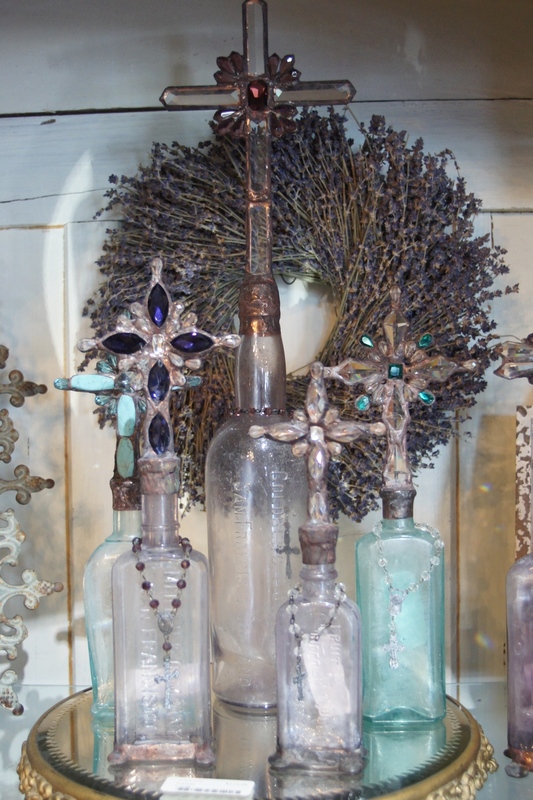 We invite you to stroll through and be inspired by the artful display of unusual gifts and Antiques. We encourage you to just come in and chat and enjoy a glass of wine. We carry Dishes, Accessories, Serving Pieces, Flatware, and the Finest Linens, to help you set a festive table. Crafted by one of the oldest glassworks in France, La Rochere Glassware produces uniquely-clear, heavy-duty glassware that is perfect for every day use. These pieces are adorned with raised relief decorations that symbolize France, including the French Bee and the Fleur de Lys.